This is a Vita port of Chocolate Doom, which is a Doom source port. 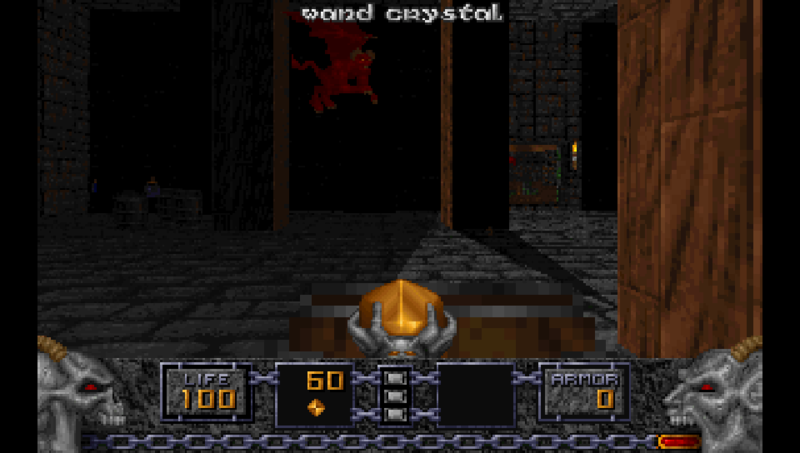 It supports the original Doom games, as well as Heretic, Hexen and Strife, and adds some extra features while staying as close to the vanilla game(s) as possible. 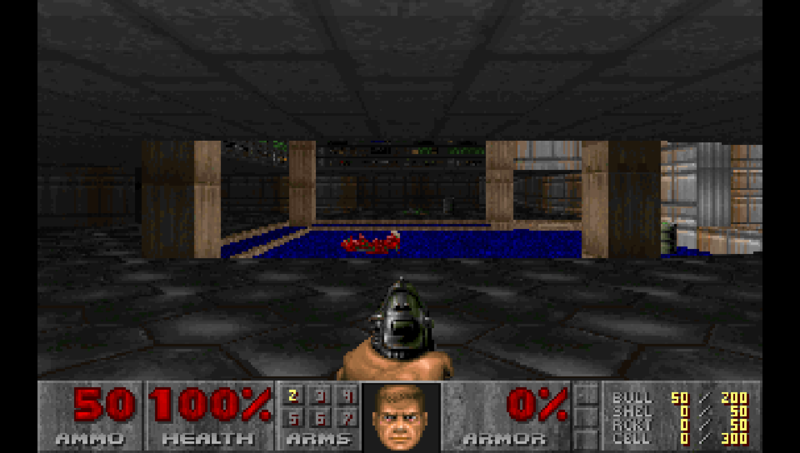 supports almost all features of Chocolate Doom (WAD file merging, built-in DeHackEd, etc.). Extract data.zip to ux0:/ (root of memory card). Copy your IWAD files (see table below) to ux0:/data/chocolate/iwads. Circle: save settings and exit launcher; cancel selection when in file select dialog. To be able to run a particular game from this list, copy the corresponding file(s) to ux0:/data/chocolate/iwads. Files for games marked with * are already included in data.zip. chex.deh can be found here and is required for Chex to work correctly. 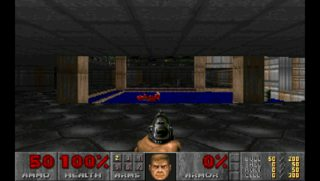 FreeDoom is a free and open source recreation of the original Doom 1 & 2 IWADs. It can be found here, but it is not 100% compatible with Chocolate Doom. Put all custom files for a given game into ux0:/data/chocolate/pwads/<gamedir>, where <gamedir> is doom for all Doom games, heretic for Heretic and Shareware Heretic, hexen for Hexen and strife for Strife, then use the Custom tab in the launcher to select any custom content you want. Currently the launcher allows to select 1 DEH file and up to 4 PWADs/LMPs. After recording a demo it will be saved to ux0:/data/chocolate/tmp/mydemo.lmp. Don't forget to copy it before recording another one. Saves for a particular game/IWAD are stored in ux0:/data/chocolate/savegames/<iwad>. If the game closes without producing a crash dump, a file named ux0:/data/chocolate/i_error.log should be generated, which contains error messages. The IP address that appears in the `Game address` field of the `Net` tab of the launcher when you run it is your Vita's LAN IP. You can use this if autojoin doesn't work properly. To join a game by IP, select `Game address`, enter the address, then hit `Connect to address`. Netgames will only work correctly if all players have selected the same game and set of custom files (stuff in the `Files` tab). PWAD order does matter. The game will complain upon connecting if you did something wrong. The `Merge file` option is the launcher version of the `-merge` command line option. See the Chocolate Doom wiki for more details. You can specify custom command line parameters in a response file, then load it using the `Override response file` option. Don't forget to select the correct game. See the README, the Github issues list and the Chocolate Doom wiki for more information. Last edited by fgsfds on Sun Apr 15, 2018 3:32 pm, edited 4 times in total. Very happy to see this. Chocolate Doom is my favorite Doom port. I've also been wanting a way to play Heretic on my Vita. Thanks for this! 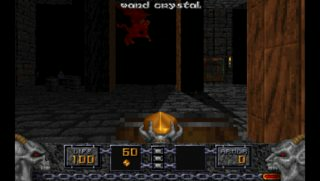 Awesome to see a Doom engine other than PrBoom implemented! Unfortunately, it seems the FreeDoom wads are not supported, and I'm too broke to buy the actual wads. 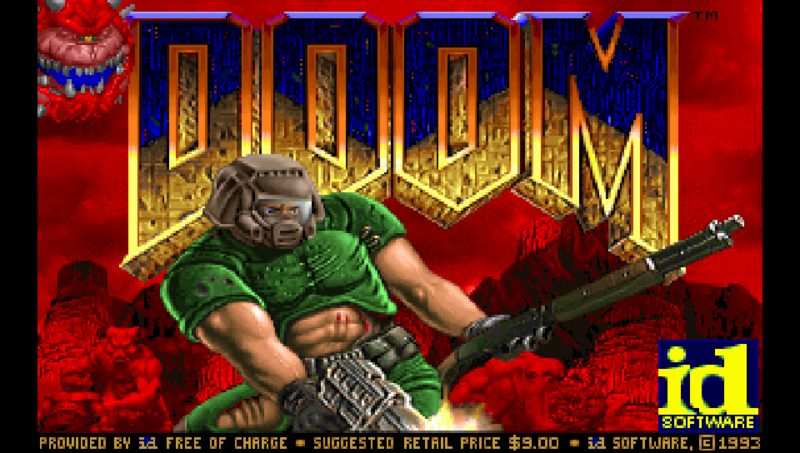 Disregard, if you change FreeDoom Phases 1 and 2's filenames to doom.wad and doom2.wad respectively, they load and run fine. Still would be nice to differentiate them if you have the original Doom games and want the content FreeDoom has as well. Yeah, FreeDoom and Chex Quest are supported, but the launcher doesn't recognize them. I will fix that in the next release. Can confirm that Chex Quest is supported, however, the episode names, in-game messages, and quit message all still use regular Doom messages, with the episode names using the Doom font and color (Swapped out the Shareware Doom wad for Chex Quest). Not sure if it's because of using it in Shareware Doom's slot, or if the original Chex Quest did that too. (You'll need to find "chex.deh" and add it in the Customs tab for the in-game and quit messages to display Chex-related messages. Episode names are still Doom names, font, and color). Everything else works fine, and you can even select episodes other than 1. Going to test Chex Quest 2. There will be multiple different scaling modes in the next release. There's no way to do that in R1.